Scottech is always looking for new people to join our growing business in the Environmental Science and Technology sector. So if you have a co-operative nature, are a quick learner and enjoy a challenge we would love to hear from you. We are a privately owned company that operates on a customer base built up over more than 25 years of trading in the environmental field. 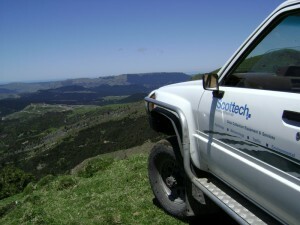 Scottech is the largest privately owned provider of environmental monitoring equipment and services in New Zealand, with branches in Hamilton in the North Island and Christchurch in the South Island and a permanent staff of 30. Included in this number are both professional and technical staff members with many years of combined experience in Hydrology, Meteorology, Instrumentation, Software and Electronics. Creating a blend of expertise and locality that enables us to cater for a range of applications, and be a solution provider for many spheres of activity throughout the country. Working at Scottech provides a rapidly changing and interesting work environment on a day to day basis, and for the right person there is plenty of room for growth in both responsibility and scope. If an opportunity that suits your skills and qualifications becomes available, you will be contacted to find out if you would like to be considered for the position.